Police have been given more time to question a man after a suspected terror attack in Surrey. A north-east man serving life for planning terror attacks on mosques has launched an appeal against his conviction. 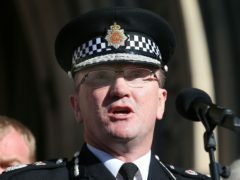 Manchester’s police chief has described a BBC documentary aired on the anniversary of the city’s arena terror attack as “entirely misleading” and “wholly inaccurate”. A North-east woman caught up in the Barcelona attack today spoke of the chaos and terror that erupted when a white van ploughed into families and holidaymakers. French counter-terrorism prosecutors have opened an investigation into a car attack on soldiers in Paris that left six injured. A man with a knife has been arrested by armed police outside the Palace of Westminster. Prime Minister Theresa May has offered her "huge gratitude" to the emergency services attending what she described as a "potential terrorist incident" near London Bridge. The family of a schoolgirl who was killed in the Manchester Arena bomb attack have paid tribute to her. A consultant who tended to victims of the Manchester Arena bombing has spoken movingly of how medics responded to the attack. An eight-year-old girl was among the 22 people killed by a suicide bomber after an Ariana Grande concert at the Manchester Arena. Hundreds of people are still desperately trying to trace loved ones in the aftermath of the terror attack at Manchester Arena which left 22 dead and at least 59 injured. The first victim of the Manchester bomb attack at the city's arena has been named by her college as Georgina Callander. A 23-year-old man has been arrested in connection with the Manchester concert bomb attack which killed 22 people, including children, and injured dozens more in the worst terrorist incident to hit Britain since the July 7 atrocities. A North-east mum and daughter who were in the foyer of the Manchester Arena when the suicide bomber attacked today described a scene of terror and panic as youngsters and families fled. Two North-east mums have described the moment the bomb went off inside the foyer of Manchester arena. Marischal College will be illuminated tonight following the terrorist attack in Manchester. A suicide bomber deliberately chose the place where he could cause "maximum carnage" when he detonated a bomb at a pop concert in Manchester, the Prime Minister has said. A bomb attack has left 22 people dead and 59 injured after an explosion tore through Manchester Arena on Monday night. The families of two girls from the Western Isles missing after attending the concert in Manchester targeted in a terror attack have issued appeals on social media. Scotland Yard has put extra officers on duty in London in the wake of the Manchester bombing, including armed personnel. Hundreds of people are desperately searching for loved ones in the aftermath of a terror attack at Manchester Arena which left 22 dead and at least 59 injured. A suicide bomber killed 22 people, including children, as an explosion tore through fans leaving a pop concert in Manchester. Andy Burnham, the Greater Manchester metro mayor, has said the attack was an "evil act" that had caused anger, shock and hurt. Blood donors are being encouraged to keep their appointments to give blood following the explosion at a concert in Manchester. A desperate mother has spoken of her frantic efforts to find her teenage daughter, who has not been in touch since the Manchester Arena terror attack. A suicide bomber has killed 22 people, including children, as an explosion tore through fans leaving a pop concert in Manchester.